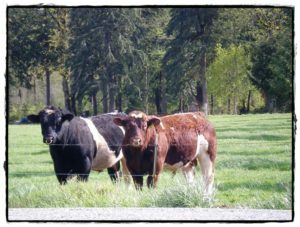 Farm Description and Practices Our family began breeding Maine-Anjou cattle in 1969 when they were first introduced into the U.S. We became a member of the Maine-Anjou Association in 1974. We offer all natural grain-fed and grass-fat beef. Our 580-acre ranch is also home to an abundance of wildlife and amazing mountain views. Our commitment to quality beef, cattle and conservation practices is important to our family and is reflected in the beauty of our ranch, cattle and wildlife. We use organic practices and our meat is processed at a USDA-inspected facility.